Table top pop-up connection panel. When down, the flush top enhances the look of your table. The simple push to release mechanism springs open 45 degrees revealing the electrical connections. Push the panel back down and the lid re-latches automatically to hide the connections when not in use. 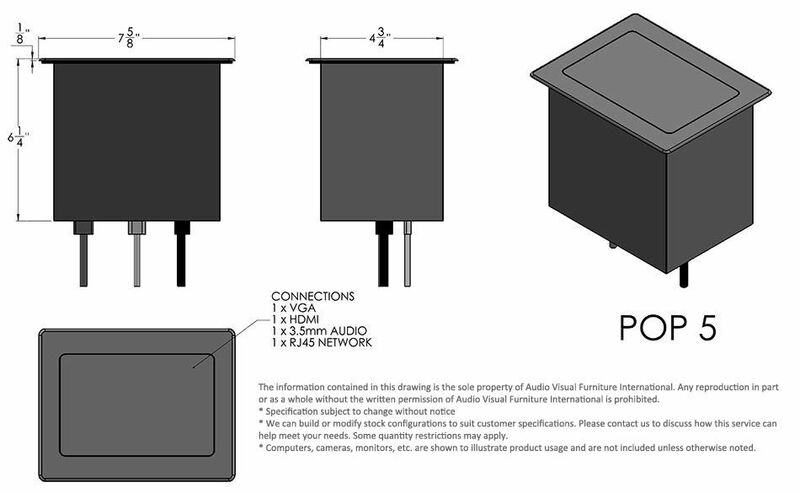 Used with podiums, lecterns, and conference room tables, thePOP5 offers quick convenient table top access to power and cable connections for connecting laptops, projectors, media players and other electronic peripherals.